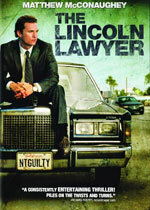 adapted as "The Lincoln Lawyer"
Synopsis: Mickey Haller has spent all his professional life afraid that he wouldn't recognize innocence if it stood right in front of him. But what he should have been on the watch for was evil. 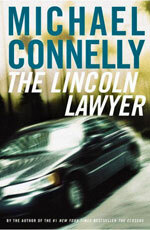 From bikers to con artists to drunk drivers and drug dealers, they're all on Mickey Haller's client list. But when a Beverly Hills rich boy is arrested for brutally beating a woman, Haller has his first high-paying client in years. It's a franchise case and he's sure it will be a slam dunk in the courtroom. For once, he may be defending a client who is actually innocent. But an investigator is murdered for getting too close to the truth and Haller quickly discovers that his search for innocence has taken him face-to-face with a kind of evil as pure as a flame. To escape without being burned, Haller must use all of his skills to manipulate a system in which he no longer believes.